You’re convinced you can handle the sleepless nights and endless monotony of diaper changes and spit-up. But are you certain your bank account can survive a year on a reduced income? 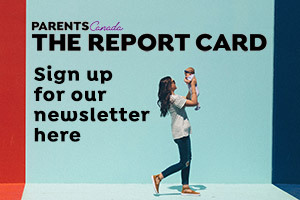 If you’ve worked a minimum of 600 insurable hours in the year before applying for Employment Insurance benefi ts, you qualify to receive 50 weeks of paid leave, part of which can be shared with dad. (See chart below.) Often referred to as maternity leave, the year is actually split into maternity leave and parental leave, both with their own set of rules. A year off with pay sounds like a sweet deal, no? Well, maybe not. As Airdrie, Alta. mom Shirley Saputra discovered, her weekly cheque didn’t measure up to her regular salary, and making ends meet was a struggle. Live in la belle province? 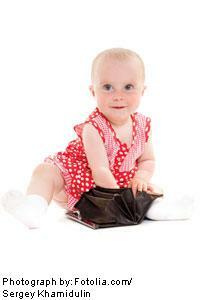 Quebec’s parental benefi ts are run independently through the Quebec Parental Insurance Program. More information on this program can be found at rqap.gouv.qc.ca. Shop on auto-pilot and your baby’s fi rst year of life could be more expensive than their first year of university. Bums and bottles bust budgets. Generic diapers cost at least $280 for the first year alone; a basic cloth diapering kit can cost as little as $135 and can be used for subsequent children but takes time. Formula will set you back about $50 to $200 a month, depending on the brand. Breastfeeding can be free without pumps and nursing wear, but if you decide they’re necessary, shop around for the best price. Buy used whenever possible. Your baby doesn’t care if their vibrating chair was bought new or used, so neither should you. For safety’s sake, buy cribs and car seats new to ensure they haven’t been recalled, or in the case of car seats, been involved in an accident. Most everything else can safely be purchased through consignment stores or other parents, including clothing, toys, books, high chairs and exersaucers. Visit Health Canada online at hc-sc.gc.ca to check your equipment for recalls – even new products can sometimes remain on the shelf after a recall has been issued. Paying full retail for items that will be used for just months, or worn for mere weeks, will kill your budget. Avoid the mall at all costs. Skip window shopping that inevitably turns into impulse buying, and join a local parenting group for your socialization (and your baby’s). Most communities have free mom and tot groups where you can connect with other moms without shelling out for expensive classes. The chart below provides a breakdown of which parent qualifies for each leave, and how much they'll receive. Did you know you can earn some income while on leave without sacrificing your EI payments? That's included in the chart, too. Maternity (exclusive to biological mother who has given birth) You must have 600 hours of insurable employment on which you paid EI premiums during the 52-week period immediately before the start date of your EI period. There is a two-week waiting period for which benefits will not be paid (think of it like a deductible). 55% of your average insurable weekly earnings, up to a maximum of $44,200. That’s $468 per week, or $24,310 annually. This amount is taxable. 15 weeks Earnings must be reported, and will be deducted dollar for dollar from your benefits. Parental (shared by mom or dad, biological or adoptive) You must have 600 hours of insurable employment on which you paid EI premiums during the 52-week period immediately before the start date of your EI period. See above. There is a two-week waiting period only if the two-week maternity waiting period has not been served. 55% of your average insurable weekly earnings, up to a maximum of $44,200. That’s $468 per week, or $24,310 annually. This amount is taxable. 15 weeks You can earn $75 per week or 40% of your weekly benefit, whichever is higher. Earnings must be reported, and anything over the amount outlined above will be deducted dollar for dollar from your benefits. Sarah Deveau is the author of Money Smart Mom: Financially Fit Parenting (2010) and writes for newspapers and magazines across Canada. She blogs at moneysmartmom.ca. Originally published in ParentsCanada: Me & Mom, October 2012.